San Diego, CA: IDW, 2011. First edition, first printing (stated). Originally published in single magazine form in G.I. Joe #0-13 & G.I. Joe Special: Helix. Book is in fine (light shelfwear) condition with no marks, tears or spine creases. An Attractive Copy! Please feel free to ask me for pictures or more information, Thanks.. First Edition. 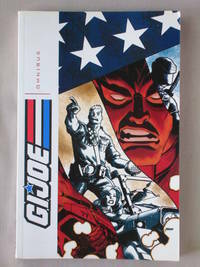 Trade Paperback. Like New. Illus. by Robert Atkins, S.L. Gallant & Joe Suitor.